Calls for Junior football to move to the summer have been heightened after the ‘Beast from the East’ weather system completely wiped out the fixture calendar last week. There had already been a desire from some people in Junior football to switch to the warmer months after a number of postponements this winter have left clubs facing a fixture backlog. The latest round of snow and ice decimated the entire set of fixtures in the Junior game last weekend and it has forced the Scottish Junior Football Association into looking at a summer alternative. 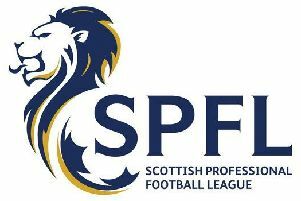 The SJFA have drafted a paper to be discussed at their next management meeting, looking at the possible benefits and drawbacks of summer football, with the season potentially beginning in March and playing right through the summer. Newtongrange Star boss Stevie McLeish believes it could enhance the quality of product on offer to fans. He said: “I think moving to the summer would make sense but we’re in March and there is snow on the ground. “I can see the value of it. At the start of the season in August there are better games, better pitches and better crowds. “Fans are not having to withstand the wind and rain as much. “I think it’s a chance to put on a show, make it an event. Football after all is about entertainment. You are not having to compete with other leagues being on at that time as well so perhaps boosts the coverage the Junior game would receive. He added: “Every club suffers at this time of year because of the postponements which affects the club’s cash flow. “It has been challenging but we have been quite lucky as a club we have only really had the repeated postponement of the Scottish Cup clash against Cumbernauld United. “But it can make it really difficult for a club which is competing for honours on all fronts, they almost get punished for doing well having to play Monday, Wednesday, Saturday. “It becomes a bit like survival of the fittest come the end of the season. McLeish believes there could be certain disadvantages of playing in the summer particularly around the holiday period. He said: “The guys go on holiday, families want to take holidays in the summer months when the schools are off so clubs could be left without some players. “Mind you the modern day player takes holidays all year round so I’m not sure how much difference it would make.